As I post today’s inspirational 3-Day story, our amazing 2013 Boston 3-Day Crew are busy decorating sweep vans, marking routes and making preparations to support the 3-Day walkers who will begin their 3-Day journey tomorrow. If you would like to cheer on our walkers this weekend, check out our Spectator Information for locations and times when walkers will be passing by. Debbi Shaffer is walking in her fourth 3-Day in Washington DC, and has also cheered friends as a “walker-stalker” in San Diego. Debbi proudly wears her 3-Day survivor Victory t-shirt now, but it took her years to share her very personal experience with breast cancer. We are thankful that she chose to share it with us on The 3-Day Blog. 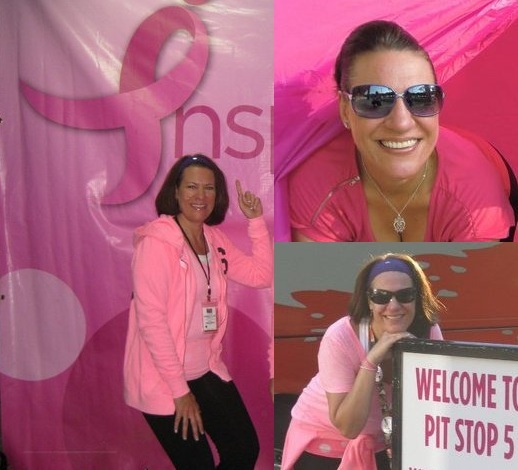 Debbi Shaffer enjoys the 3-Day as a proud breast cancer survivor. What does the word “survivor” mean to you? Please share your stories in the comments section below.